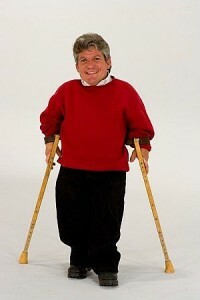 ObamaCare cuts off insurance for star of TV show Little People, Big World. 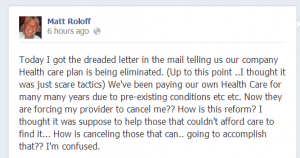 ObamaCare has forced the cancellation of the health ‘insurance of the star of the television show, “Little People, Big World,” Matt Roloff. At least that’s what the Oregon businessman announced on his Facebook page today. The Oregon author, farmer, TV personality and entrepreneur was born with dwarfism, a condition which comes with several physical ailments which he apparently had insured himself through his own company. Reaction on his FB page has been swift. Matt and his family are beloved in Oregon. Matt’s wife, Amy, also was born with dwarfism along with one of their three children. The left has begun an assault of his page. Make sure you check it out and stand up for him.